The city of Overland Park is looking into the future, trying to find the best path forward in growing the city. OVERLAND PARK, Kan. — The city of Overland Park is looking into the future, trying to find the best path forward in growing the city. Forward OP has spent a year gathering public input on what Overland Park residents would like to see implemented. "If we want to be the best we can be in 20-30 years what do we need to do?" said Greg Musil, co-chair of the steering committee for Forward OP. "We want to be forward thinking, innovative and welcoming." One of the main takeaways Musil said was finding a good place for everyone to hang out. "To have a central gathering place, a place where you can have festivals or concerts or community activities where you can bring the entire city together," said Musil. 41 Action News talked to people in downtown Overland Park to see what they wanted. "I think a lot of the great cities in the United States have a lot of great public green areas like community gardens and things like that I think that would be a great way to support the community," said Overland Park visitor Madison Wilson. "I think just more of the urban feel, community feel that they're developing with different community living experiences," said Barb Wilson visiting Overland Park. "Parks are huge and I would love to see even more green space than there is," said Susan Jones who grew up in Overland Park. The committee had over a thousand participants give their say, including more transportation options, different housing opportunities, and even having unique art to attract tourists like Denver's Blue Bear or the Chicago's Cloud Gate. "Overland Park doesn't really have an iconic piece of art or an iconic place," said Musil. "The arts be it music, whatever, that's always a big draw for people," said Barb Wilson. "Those are things you have to recognize and be careful about how you address them," said Musil. 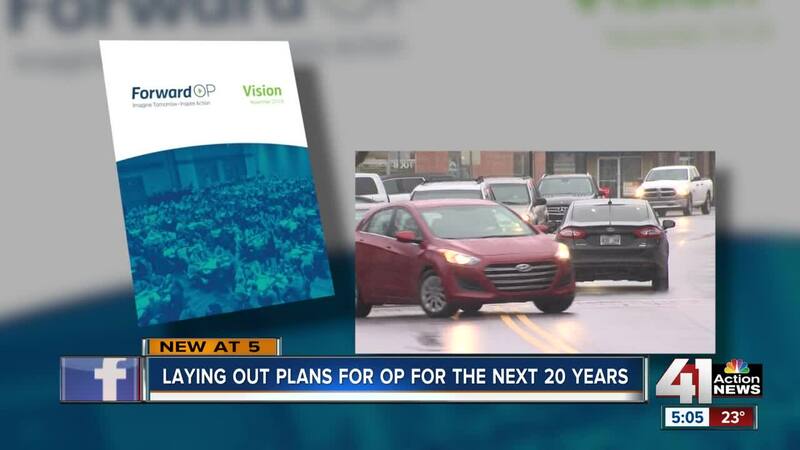 Forward OP is working with the Overland Park Chamber of Commerce, Visit OP and other groups to create this plan. The committee will send some of these ideas to city council on Feb. 4 and hope they will implement some of them in the coming years. To learn more about the plans, click here .